Besides Taxi, how can i get from Stansted Airport to Kings Cross London after 12am? As I will arrive Stansted from Pisa at 11:30pm that late. I have checked the national rail website, it guides me to take train to Liverpool street, followed by tube to Kings cross (leaving at 01:21). However, the last tube I checked on the tube website is 00:48. It's so confusing. From there you can take the Route Bus N205 from Stop D towards Stratford International. Visit Transport for London to see all you options to getting from Baker Street to King Cross. There is a night bus from Liverpool Street to Kings Cross N205, so you can get to Liverpool Street with a train or a bus, and then take this bus. Also, there is a taxi stand near Liverpool Street station, it should be reasonably easy to find a black cab there, it is not far from there (around 3 miles), so the cost should be <£15. If nothing else works, it is 50 min walk according to Google maps. During times when the London Underground Network is closed customers are advised to use either Taxis or the Night Bus Network to continue their journey. If you use the TfL journey planner it advises taking the 242 to City Thameslink and then the N63. If you would prefer a single bus (saves money and is probably more reliable) you can replan the journey to minimise changes; this gives the N205 which runs every half hour. From 2015 you will be able to make this journey on the Night Tube, taking the Central Line to change at Holborn and then the Piccadilly Line to Kings Cross. From Stanstead to Liverpool Street you have it covered already, and once you are in at Liverpool Street, yeas 205 Bus all day/all night - straight to Kings Cross. 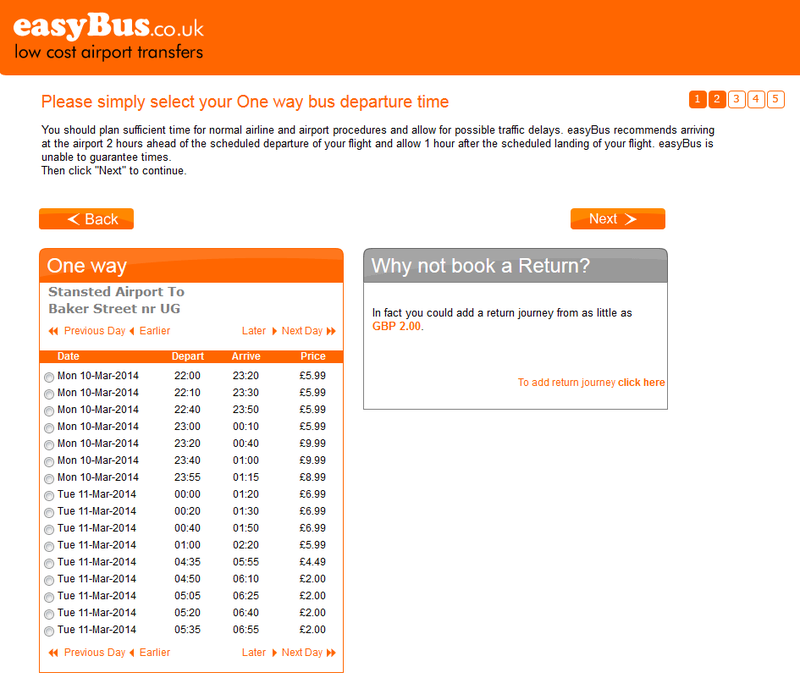 When you are in London and need to check any travel arrangements, got to Transprot For London, http://journeyplanner.tfl.gov.uk/ this will save you a lot of time, there is also transit routes in google maps which are linked to the TFL data so either are good when you are on the go. Make sure you don't spend too much time underground, you will defo cut down lots of journey times by walking or getting the bus, taxis are expensive too. Oh and get an OYSTER card if you don't have one already otherwise you'll pay lots more to travel. How about some google maps magic? Not the answer you're looking for? Browse other questions tagged airport-transfer london stn or ask your own question. How to get from Heathrow Airport to King's Cross, London? How can I get from Stansted Airport to central London cheap, at like 8 AM? How to get from Stansted to Cambridge on public transport?